Okay, friends, you know I have to remind you every once in a while to drink your water. All of us need to, especially in these hot summer months. But for you pregnant (and breastfeeding) gals, it's especially important that you stay well-hydrated. Hydration can help with lots of the issues that may be plaguing you, from constipation to swelling to fatigue. I know, water can seem boring. Or, if you're suffering from morning sickness, water's lack of flavor can sometimes even exacerbate your nausea. But you can add some excitement and color and taste to your drinks—without lots of calories, sweeteners, and artificial flavorings. 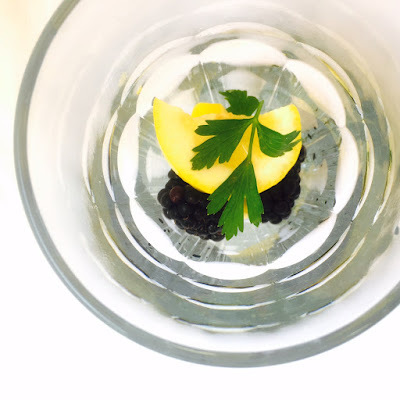 I've posted a bunch of ideas already in my Homemade Flavored Waters post (from a million years ago, forgive the photos!). Now, I've got some new ideas for you to flavor seltzer. Seltzer is basically water with carbon dioxide added to create bubbles; many pregnant women find the bubbles actually help lessen nausea. You can certainly just slip a wedge of lemon or lime into it and call it a day. But if you want to add some more pizazz, I love doing a fruit/herb/citrus combo. 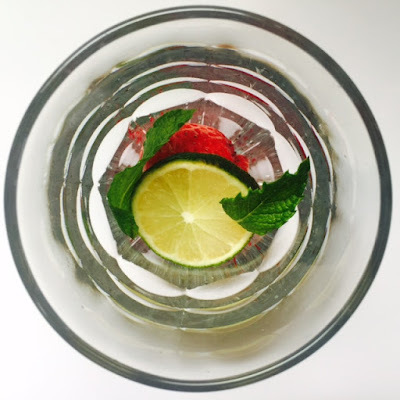 It's just a lovely mix of flavors and colors and I find it livens up my water or seltzer—and encourages me to drink more! Drop the fruit and herbs into your glass—toss in some ice, if you'd like—and pour seltzer over. For a stronger flavor, use a wooden spoon to break up the fruits and herb in the bottom of your glass a bit before topping with seltzer. You can use fresh or frozen fruits; I always have a variety stashed in my freezer for smoothies, so grabbing a few chunks to throw in some seltzer is easy to do, too! We had some cans of seltzer left over from a party, so I used them. We normally just make our own seltzer with our SodaStream. Wherever you get your seltzer, it's all good—just keep hydrating! The combination possibilities are endless: how about honeydew + basil + lemon? Or peach + rosemary + lime? Pretty much any combo will work—use whatever you've got in the fridge, freezer, or garden and start experimenting! These can also be fun mocktails if you're at a gathering and can't imbibe with the other partygoers. 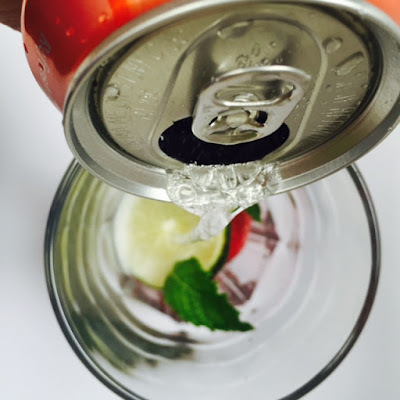 If you have a fabulous-looking and -tasting seltzer—full of gorgeous fruits and herbs—you won't miss that alcoholic drink quite so much! What combo would you like to try? Tell us in the comments below. This post contains affiliate links, so I make a small commission if you purchase through my links—which helps to keep this blog running. Don't fret: I only recommend products I personally use and approve. This looks awesome! So refreshing! This looks so refreshing, great recipe! I bet this the perfect summer drink because it is so rich in flavors and herbs. I love our soda stream for club soda (I don't use the syrups.) I love your fresh ideas for fruits. Yeah, we've never used the syrups—but it sure is handy for seltzer! Love fruit flavored water and your combo's sound delicious ! This looks refreshingly delicious Pinned and shared! Gorgeous pictures, I sure would love to have both of these seltzers!! These are so pretty, just the thing for a warm day! What a great list of seltzers. I really like the strawberry one. I love these water suggestions! fizzing, fresh fruit water sound like a fun way to keep hydrated. Love the herb ideas too. Much thanks! Love the pictures. They look utterly refreshing. Such a great idea with beautiful pics! 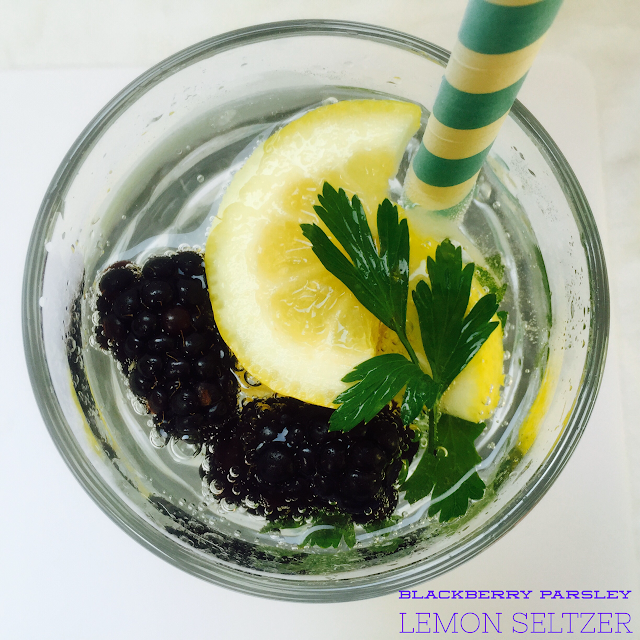 I love fruit-flavored seltzers - my favorite way to refresh this summer! And I agree with the rest, the photos are amazing! This looks so refreshing! Love it! It's so important to drink your water and these sound like a great way to flavor boring ol water! !